Many people think of Costa Rica as an ideal place to relocate, one of the reasons being the natural surroundings and diversity of native species. Though it is a small country, its biodiversity is actually greater than that of all of Europe or North America. One of the reasons is that it is situated between North and South America, as well as the Antilles, so it has such an average of their different environments to support such ecosystems. Another reason is that Costa Rica has a tropical climate, and has a great number of different natural environments, from jungle to river to swamp to cloud forest. Furthermore, its government promotes the protection of natural territory. 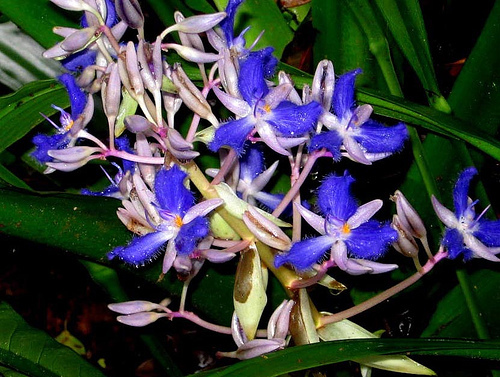 There are over 9,000 identified species of plants in Costa Rica, and of course there are many more that have not been discovered or identified. 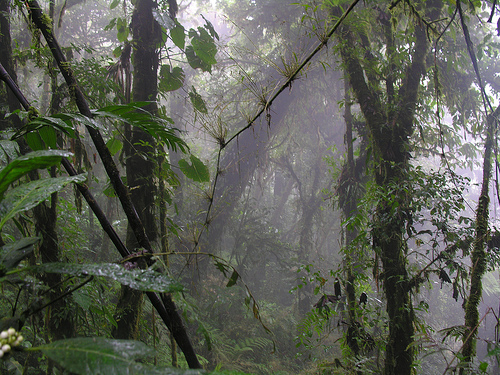 Costa Rica has a few cloud forests, one of which is the Monteverde. This means that the plants receive water by directed absorbing it through the mist in the air. Orchids are very abundant in Costa Rica, having over 1,500 species. The orchids are all epiphytes, meaning that they live on trees to reach the sunlight, but do not act as parasites. 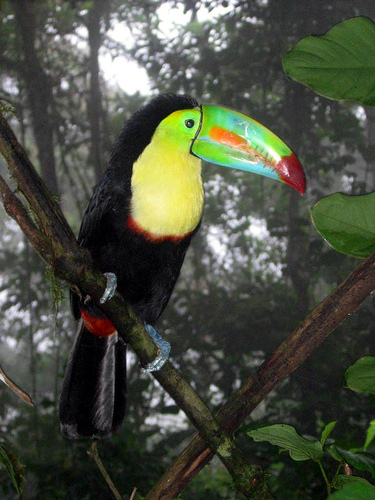 Many people move to or visit Costa Rica for birdwatching. It is insanely rich in beautiful species, 850 of which have been identified. 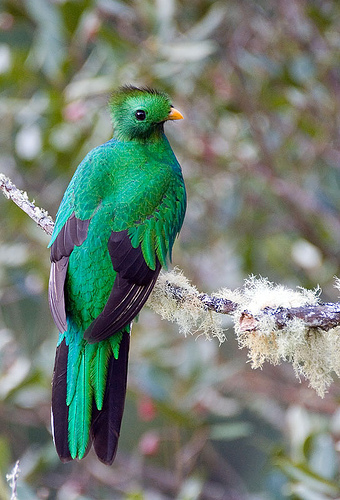 One famous bird is the resplendent quetzal, which is a green tropical bird that has a very long tail. There are also 50 species of hummingbirds, 6 species of toucans and 15 parrots. In terms of mammals, about 200 species have been identified in Costa Rican territory. There are four types of monkeys: squirrel monkeys, spider monkeys, howlers and white-faced capuchin. There are also sloths and anteaters. There are endangered species like jaguars and tapirs, but these are hardly seen by humans. Costa Rica has no shortage of insects, as there have been approximately 35,000 identified, and of course thousands more. 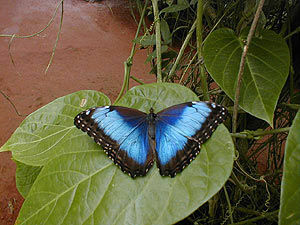 About 10% of species in butterflies live in Costa Rica! They range in all shapes and sizes, and many of them have very special camouflage and hide in the tree bark. Also present are many species of reptiles and amphibians. 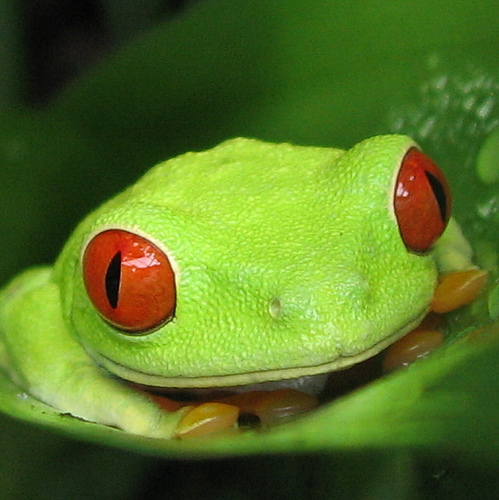 The country is known for having tree frogs, who never touch the forest floor, and poison arrow frogs that are very colorful but omit toxins on their skin. Most of the reptiles are snakes that disguise themselves, but humans end up seeing a lot of different lizards. Turtles and alligators are also present, and there are many beautiful species for snorkelers who care to check out the coral reefs. Because there are canopies in the top of the Costa Rican rainforests, many insects, reptiles and other animals live in this level and never touch the ground of the forest. The plant that you feature as an orchid is not really an orchid, it is an epiphyte like an most orchids, but it’s called cochliostema odoratissima or false bromeliad.